After not having a proper album release since 2006, JoJo is finally back! After years of legal issues with her old label Blackground Records, JoJo is finally releasing new music. All these years of being held back, scrapping album and single releases, not being able to put out any music whatsoever are finally coming to an end. JoJo is now signed to Atlantic Records, and she’s coming back with a big bang! A few weeks ago, JoJo confirmed that she is indeed releasing new music. And it’s not just one song, it’s three! “Tringle” is the release of three singles at the same time. While one of them will probably be the main single, JoJo is said to be filming music videos for all three songs! 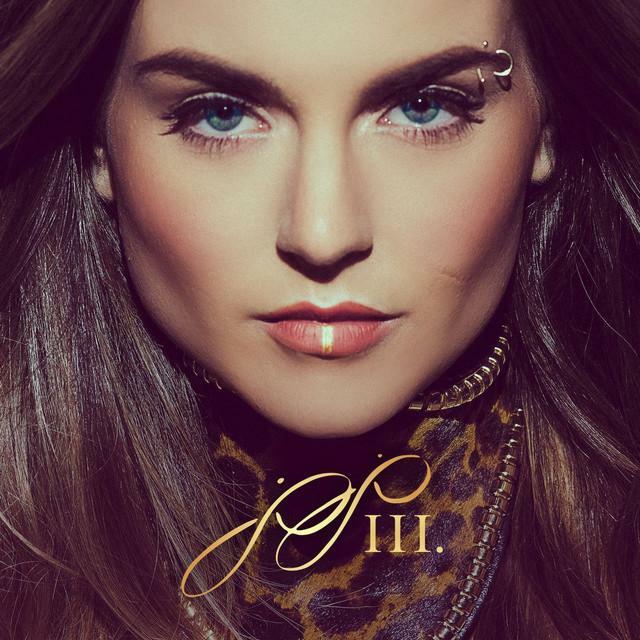 When Love Hurts is the official first single off JoJo’s album “III.“, which is scheduled to be released this fall! This is the Pop song of the “Tringle” release, so this is also going to be the song radio will (hopefully) play. When Love Hurts does sound like a lot of Pop songs from the last few years, but the thing that in the end does separate it from these songs is JoJo’s soulfoul vocals. When Love Hurts has all the makings of a decent radio hit. It’s catchy, its lyrics aren’t too complicated and you can easily sing along to it. I actually didn’t think that this pure pop sound would suit her, but it sounds really good. But then again a part of being a vocalist is that you can make every song your own, and JoJo definitely achieved that here. Overall, this is a really solid Pop song and I really do hope it becomes a hit, JoJo totally deserves it! Say Love is a Pop/RnB ballad and probably my favorite out of the Tringle release. The lyrics are really heartfelt and emotional. It’s not really sad per se, but still extremely emotional. “This is us at our best and our worst, when we speak does it feel unrehearsed, because where I want to be is far apart from where we are, from where we are” are the lyrics in the first part of the first verse. Jojo’s voice sounds barely edited, in fact it sounds like she’s doing a live performance here. The production starts out small but keeps getting bigger until the chorus. Towards the end of the song there’s a little surprise. All the production gets removed and suddenly you only hear JoJo performing the song acappella with different layered vocals. On Say Love, JoJo really shows off her vocals, even more than on the other songs. The acappella part is also really surprising but it fits in the song amazingly! Save My Soul is another ballad, but it is really different from Say Love. It’s more raw, it’s a lot darker too and it’s actually a bit faster, more mid-tempo than Say Love. During the first verse you basically hear JoJo just singing over a piano chord progression. JoJo apparently wrote this song about growing up with two alcoholic parents. You can definitely tell how close this song is to her heart by how much emotion she put into this, which is what makes this song interesting. There’s a lot of room for interpretation of the lyrics aswell! Musically it is good, but in my opinion it does get overshadowed by Say Love a bit. But it can still stand on its own, mainly because of how emotional it is. Maybe they could’ve kept the piano the main element in the production for not only the first verse but also the second verse! Despite all that, Save My Soul is still really good actually, and I’m sure it’s the kind of song that you only start appreciating after a while! Overall I have to say Say Love is by far my favorite, but thankfully all songs are amazing! I actually think Say Love is possibly JoJo’s best song yet. It’s really impressive that JoJo managed to deliver 3 awesome songs. This is all I wanted for her “comeback” and more! You can listen to the songs on JoJo’s website http://www.iamjojoofficial.com/ And make sure to buy them when they get released on iTunes tomorrow! What did you think of the songs? Share your thoughts with me in the comments below! ← Kelly Clarkson covers “Cool For The Summer” & announces 2nd pregnancy!